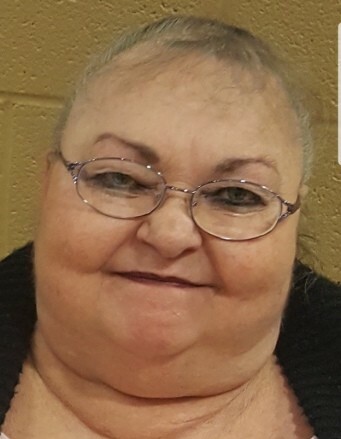 Donna Lou Harris, 66, of Terre Haute passed away on January 12, 2019 at her residence. She was born in Shelburn, Indiana on March 4, 1952 to Edsil and Marthella Tincher. Donna loved animals, enjoyed spending time with her family, and her grandchildren were her whole world. She is preceded in death by her parents. Donna is survived by her husband Darrell, son William D. Kerins, daughters; Shannon Flockhart and Crystal Bryan (Richard), grandchildren; Christian Evans (Jacob), Olivia Evans (Cody), Mia Evans, Chelsey Bryan, Nicholas Bryan, Branson Bryan, Tucker Kerins, and Daniel Kerins “Baby Daniel”, great grandchildren; Sophia Kerins and Lucas Kerins, brother Edsil Tincher, Jr., sisters; Constance Hibbard (Eckward), Cindy Davis (Steve), and Sandy Hyde (Wayne). A private burial is being scheduled. Online condolences may be made to www.debaunfuneralhomes.com.